According to many sources, for many years during the Regency (1811-1820), Parliament did not open its first session of the year until after Easter. But the list of dates, I have included below, contradicts that idea somewhat. Generally, the new Season for young ladies to make their Come Outs and the doings of the Marriage Mart were closely associated with Easter. We must remember that for England during this period in history, Easter and Lent were still considered a religious celebration, and, although people had gotten away from the stricter celebration of years past, Lent, for example, was more closely observed than we find today. People refrained from eating cakes, pastries, dairy, fats, as well as avoided “meat” on Friday. Even when Parliament resumed early, the official London Season did not begin until after Easter Sunday. Donna Hatch’s Blog tells us, “The day before Lent began was Shrove Tuesday, a day to confess sins to one’s priest (or to get “shriven”). According to Regency researcher and author, Regina Scott, it was also a day they referred to as “pancake Tuesday,” the last opportunity to eat all the foods forbidden during Lent. The custom might have begun as a way to use up any of these foods one had in the house so they wouldn’t spoil. Other cultures used their last day of anything goes to create events such as Mardi Gras and Fat Tuesday. In the early years of the 19th century, the date of Easter was quite important. Law courts, parliament, schools — as well as the church calendar all based dates on that of Easter. Generally, the season in Town didn’t start until after Easter. Maundy Thursday (also known as Holy Thursday, Covenant Thursday, Great and Holy Thursday, Sheer Thursday, and Thursday of Mysteries, among other names) is the Christian holy day falling on the Thursday before Easter. It commemorates the foot washing (Maundy) and Last Supper of Jesus Christ with the Apostles, as described in the canonical gospels. Many theorize that the English name “Maundy Thursday” arose from “maundsor baskets” or “maundy purses” of alms which the king of England distributed to certain poor at Whitehall before attending Mass on that day. During the Regency, the Regent, acting in his father’s, George III’s, stead presented food and tunics to the poor. Jane Austen’s World tells us, “In her book, Jane Austen and the Clergy, Irene Collins writes: Clergymen in Jane Austen’s day were not expected to write original sermons every Sunday. “Henry Crawford, assessing Edmund Bertram’s commitments at Thornton Lacey, judged that ‘a sermon at Christmas and Easter ‘would be’ the sum total of the sacrifice.” Mr. Collins produced only two sermons between his ordination at Easter and his visit to Longbourn in November of the same year.- p. 96. In this quiet way, the first fortnight of her visit soon passed away. Easter was approaching, and the week preceding it was to bring an addition to the family at Rosings, which in so small a circle must be important. Elizabeth had heard, soon after her arrival, that Mr. Darcy was expected there in the course of a few weeks, and though there were not many of her acquaintance whom she did not prefer, his coming would furnish one comparatively new to look at in their Rosings parties, and she might be amused in seeing how hopeless Miss Bingley’s designs on him were, by his behaviour to his cousin, for whom he was evidently destined by Lady Catherine; who talked of his coming with the greatest satisfaction, spoke of him in terms of the highest admiration, and seemed almost angry to find that he had already been frequently seen by Miss Lucas and herself. Until I wrote The Scandal of Lady Eleanor, all I had written were Jane Austen adaptations and retellings, including Darcy’s Passions, Darcy’s Temptation,Vampire Darcy’s Desire, The Phantom of Pemberley and Captain Wentworth’s Persuasion. I was very appreciative of Ulysses Press taking a chance on my first true Regency romance. What did not work out was before they could continue the series, Ulysses made the business decision to finish the fiction books under contract (including several of mine) to them and then switch to non-fiction only products. In truth, Ulysses was very much a non-fiction publisher when I joined them, so the decision was not surprising. However, that particular decision left my Realm series in limbo. It was impossible to sell the series to another traditional publisher for who would want to finish a series started by another publisher? Therefore, I ended up self publishing the series. I must admit that it was liberating to write a story from beginning to end, without a preconceived framework already in place. When an author tackles an Austen storyline, he must stay somewhat true to the original characters or “suffer the ire” of Janeites. In my Austen books, I work in her original wording and use what I know of the lady and the times. With the Realm series, the characters and the conflict were part of me. A Touch of Scandal (formerly called The Scandal of Lady Eleanor) is the first book in the “Realm” series. The Realm is a covert group working for the British government during the Regency Period. They rescue British citizens, bring about diplomatic portals, etc. Its members are titled aristocrats and minor sons—therefore, the name “the Realm.” The members in this series number seven: James Kerrington, Lord Worthing (and future Earl of Linworth), who is the hero of A Touch of Scandal; Brantley Fowler, the Duke of Thornhill, from Book 2, A Touch of Velvet; Gabriel Crowden, Marquis of Godown, from A Touch of Grace; Aidan Kimbolt, Viscount Lexford, from A Touch of Mercy; Marcus Wellston, serving as the regent for his elder disabled brother, the Earl of Berwick, from A Touch of Cashémere; Lord John Swenton, a baron, from A Touch of Honor, and Carter Lowery, the youngest son of Lord Blakehell, from A Touch of Love. The series conclusion, A Touch of Emerald, features Kerrington’s son, Daniel. These men have served together for several years in India and Persia, and they possess a stout camaraderie. Each holds reason for fleeing his home and title, and each must reclaim his place in Society, while still occasionally executing a mission in the name of the government. Unfortunately, not only must these men fight their own demons, they must foil the plans of Shaheed Mir, a Baloch warlord, who believes one of them has stolen a fist-sized emerald; and Mir means to have it back. In A Touch of Scandal. James Kerrington, the future Earl of Linworth and a key member of the Realm, never expected to find love again after the loss of his beloved wife, Elizabeth. But upon his return home, Kerrington’s world shifts on its axis when Lady Eleanor Fowler, literally, stumbles into his arms. Unfortunately, not all is as it seems with Eleanor, as she hides a deep secret. She had hoped the death of her father, William Fowler, the Duke of Thornhill, would offer her family a chance at redemption from their dark past, but when Sir Louis Levering produces proof of Eleanor’s father’s debauchery, she is thrown into a web of immorality and blackmail. It is up to Kerrington and his associates in the Realm to free Eleanor from Levering’s hold. In writing this series, I chose to use “modern issues” throughout. Just because life appears “simpler” does not mean Regency England did not reek of scandal. Women lacked options. Even women of a wealthier class were the property of first their fathers and then their husbands. As such, Lady Eleanor Fowler is no exception. When her mother dies, her father’s debauched lifestyle invades her privacy, and she is sucked into a situation because she “loves” a parent who does not really understand the meaning of the word. Eleanor’s brother Brantley escaped the Duke of Thornhill’s hold on his household, but Eleanor is left behind to cope in the only way she knows how: Survive. Readers always like to know who an author imagines when writing a book. So, I am going to indulge you on this matter. 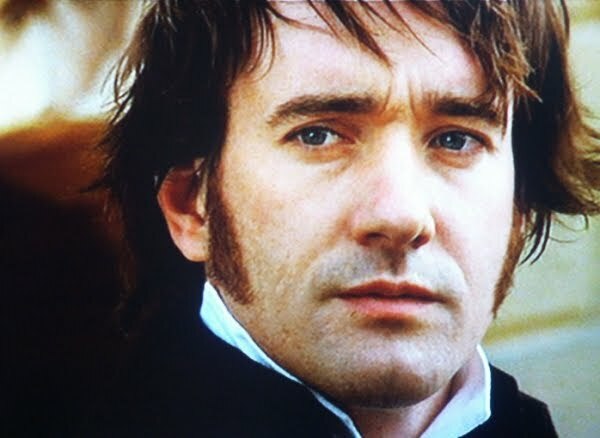 First, let me say, I have been a Matthew Macfadyen fan long before he played Mr. Darcy in the 2005 film – back to his days in Wuthering Heights, Warriors, and The Way We Live Now. When I learned he was to be Darcy, I did a happy dance. He is always the Darcy in my head when I write my Austen pieces, and he is the man I see and hear (Does he not have the most mesmerizing voice?) in my other works. In this series, Macfadyen is James Kerrington. James Mcavoy is Carter Lowery; James Scott is Aidan Kimbolt; Matthew Goode is Brantley Fowler; Toby Stephens (as he was in Jane Eyre) is Marcus Wellston, and Alex O’Loughlin faces Gabriel Crowden (although I am not certain how O’Loughlin would look as a blonde). As weird as it may sound, I do not have famous women in my head when I choose the females. I see their faces and recognize their movements, but they are ordinary women. In this series, Velvet Aldridge came to mind because I fondly remembered a former student named “Velvet.” I stole Brantley Fowler’s name from a young man I met at an Enterprise Rental Car outlet. I told him I would make him famous. I originally planned only 4 books and possibly 3 novellas bundled as one piece. As the series progressed, readers kept asking for the next character. Each book in the series starts with the same scene on the Persian border, where these men encounter their formal foe, Shaheed Mir. However, with each retelling of the scene, the reader learns more of what actually occurred, because he sees the action from a different point of view. The men of the REALM have served their country, while ignoring their responsibilities to home and love, but now Bonaparte is defeated, they each mean to claim their portion of a new and prosperous England. However, their long-time enemy Shaheed Mir has other plans. The Persian warlord believes one of the Realm has stolen a fist-sized emerald, and the Baloch intends to have its return or his revenge. JAMES KERRINGTON, the future Earl of Linworth left his title and his infant son behind after the death of his beloved Elizabeth, but he has returned to England to tend his ailing father and to establish his roots. With Daniel as his heir, Kerrington has no need to marry, but when Eleanor Fowler stumbles and falls into his arms, Kerrington’s world is turned upon its head. He will do anything to claim her. LADY ELEANOR FOWLER has hidden from Society, knowing her father’s notorious reputation for debauchery has tainted any hopes she might have of a happy marriage. And yet, despite her fears, her brother’s closest friend, James Kerrington, has rekindled her hopes, but when Sir Louis Levering appears with proof of Eleanor’s participation in her father’s wickedness, she is drawn into a world of depravity, and only Kerrington’s love can save her. Also Available to Read on Amazon’s Kindle Unlimited. “What do you plan to do?” James Kerrington asked as he leaned across Brantley Fowler, while pretending to reach for the bowl of fruit. Kerrington studied Fowler’s countenance as the man stared at where the Baloch warriors held the girl. Kerrington really did not need to ask. He and Fowler were the two of the original members of a group the British government “lovingly” referred to as the Realm. The unit ranged between the ages of nineteen and twenty-five. As he was the eldest, the others called Kerrington “Captain,” although no such military ranks existed between them. The group often called Fowler “The Vicar” because the future Duke of Thornhill always wanted to “save” every soul they encountered, especially woman and children. Surprisingly, the baby-faced Fowler was also able to convince those their group captured to confess as readily as any clergyman. “Authoritative persuasion,” was the word they had coined for exacting information from those mean to defy the English government. Fowler had joined the group after a short stint with some shady seamen following the young man’s alienation from Thornhill and the dukedom, as well as a tumultuous time with Wellesley and the Spanish front. Fowler had never said exactly what had caused the rift between him and his infamous father. Kerrington’s family knew something of Fowler’s. His mother, Lady Camelia Kerrington had made her Come Out with Fowler’s aunt, Agatha Braton, the Duchess of Norfield, and so Kerrington was familiar with some of the family history. Fowler’s father, the Duke of Thornhill, held a reputation for a lusty sexual appetite. Having viewed his friend’s multiple attempts to save more than one woman who suffered at the hands of a brute, Kerrington suspected there was truth buried in the gossip. “You cannot save the world, Fowler,” Gabriel Crowden, another of Realm numbers, cautioned. Kerrington shot a glance about the tent to assure himself the others were aware of the change in their situation. He often regretted the fact he had shown more care with these men than he had ever shown to his son. Daniel resided with his parents at Linworth Hall. When he had walked away from his home after Elizabeth’s death, He had also deserted the child, who had cost his wife her life. Kerrington stiffened in anticipation as he watched Fowler stand slowly and stretch. His friend pretended to exercise his legs. “I believe I will take a walk,” Fowler announced, but before James’s friend could execute more than five steps in the direction of the girl’s tent, a burly-looking soldier, under Mir’s command, blocked Fowler’s path. Without saying a word, the man had told Fowler to reconsider his choices, but James knew the Baloch would be sorry he had crossed the young duke. Raising his hands in an act of submission, Fowler smiled largely and turned to Kerrington with a warning of what was to come. Fowler shrugged as if to agree with the warrior, but in a split second, he had struck the guard with an uppercut, sending the man reeling with a broken nose. A heartbeat later, Kerrington and Fowler stood back-to-back, taking on all comers, delivering lethal thrusts after deadly jabs. “I have it,” Kerrington called as he parlayed a broken chair for a weapon. “Retrieve the girl. Take her to the Bombay safe house.” He shoved Fowler in the direction of the girl’s tent. His friend did not look back; Fowler knew he count on Kerrington and the others in their group to break through Mir’s line of defense. Together, they would provide Fowler time to make a complete escape. Preparing for the next assault, he wondered about his own sanity. How many times over the previous two years had Fowler staged “a fight to the death” in order to save some female? Somehow, Kerrington had accepted the future duke’s “need” to rescue the disadvantaged. It seemed only fair, if he was to die, he should do so in an effort to save some woman — an act of penitence, so to speak. He had had no skills to save the woman he love — Elizabeth Morris — the woman he had married and had promised to love and to honor and to protect “as long as ye both shall live.” Unfortunately, Elizabeth Morris Kerrington had live but two years, two months, and ten days before she had passed in childbirth — his child — their child. Mayhap by saving this woman, he might atone for for what he could not do for Elizabeth, and what he had done to Daniel — just walking away from the boy, unable to look upon his own child without seeing Elizabeth and experiencing the pain of her loss. Turning his head, Kerrington noted how Fowler ran for the horses while pulling the scantily-clad girl behind him. Kerrington spun to the right, twirling a sword he had pulled from his walking stick, using the stick and rapier in tandem with swinging figure eights to ward off three Baloch soldiers. “Now!” he called above the battle’s clamor, and the Realm members synchronized their final strikes, leaving their opponents sprawled on the tent’s floor. They had dashed toward their tethered horses, swinging up into the saddles. They would distract pursuers, riding off in three separate directions — all in opposition to Fowler’s exit — to meet again in two days at their common house. Racing toward the nearest hill, Kerrington pulled up the reins to take a quick look, making certain they had all made it out safely. He felt responsible, although each of his mean were quite capable and very menacing in his own right. “Let us depart, Captain,” Aidan Kimbolt called from somewhere behind him. Kerrington had seen all he had needed to see — they all were moving away from Shaheed Mir’s tents. Turning the horse in a complete circle, he nodded to Kimbolt, the group’s best horseman, to disguise Fowler’s hoof prints in the sand, before galloping away in the direction of the dying sunset. Today is tax day in the U.S. I paid mine in March. My tax receipts are sometimes 5 inches deep in paper. As a self-employed author and retired teacher, I save receipts for lodging, mileage, advertising, home office, technology, insurance benefits, medical expenses, etc. But what were some of the taxes required in the Regency Period and when would they pay their taxes? We know there were taxes upon hair powder, carriages and coaches, and carriage and saddle horses, windows, and male servants during the Regency. From 1785 – 1792, a tax was also levied on those employing female servants at the rate of one guinea on each one. This tax had nasty effects on the labour market and only lasted for seven years before it was repealed. King William III levied a window tax beginning in 1696. The tax was to level the difference resulting from the clipping and defacing of silver coins, as well as to help pay for the various wars in Ireland and Europe. Initially, if a household had less than 10 windows, they were charged 2 shillings per year. 10-20 windows would cost 4 shillings. Those houses with over 20 would be 8 shillings. The window tax increased 6 times between 1747 – 1808, before a decrease came about. The Glass Excise tax was in existence for 100 years. It was first levied by Parliament in 1745. Taxes were levied upon window and bottle glass, as well as flint glass. (With respect to glass, the term flint derives from the flint nodules found in the chalk deposits of southeast England that were used as a source of high purity silica by George Ravenscroft, c. 1662, to produce a potash lead glass that was the precursor to English lead crystal.) Initially, the tax was purely on materials, with flint and white glass, crown and plate charged at the highest rates. Green and other bottle glass was charged at a lower rates. For 90 years, beginning in 1784, people paid taxes on pleasure horses (race horses, those let to hire or rode by bailiffs or butchers, horses exceeding 12 hands (height), but not work horses. Charges varied for Horses for riding (£1.8s.9d). In 1785 an Act exempted those occupying a farm worth not more than £150 a year rent in which the horse was used only for riding to church or market. The yearly exemption rate was reduced to £20 in 1802 and thus many more owners were taxable. An Abstract of the Principal Tax Acts from 1819’s Gentleman’s Pocket Memorandum Book, tells us that a man with one carriage would pay £12 per year in taxes. Two carriages would be £26, etc. Carriages drawn by one horse with less than 4 wheels (Taxed carts excepted) 6£ 10s if drawn by 2 or more horses, 9£ and every additional body used on the same carriage, 3£ 3s. Dog lovers who kept greyhounds, whether his property or not, would pay £1. For every other species of dog, where more than one is kept, 14s. Every person wears hair powder would pay 1£ 3s 6 d.
From 1695 to 1706, a “marriage tax” was assessed on bachelors, widowers, and childless couples. It was also charged for parish register entries of baptism, marriage, and burial. Beginning in 1793, those who had an armorial bearing marking carriages, etc. paid two guineas for arms borne on carriages and one guinea if borne in any other way, as on a signet ring. This lasted until 1882. From 1795 to 1861, those who used hair powder, (to keep wigs white), had to pay a guinea to £1.3.6 for a licence to do so. The tax included those servants required to wear wigs. Exemptions included the royal family and their immediate servants, army officers, clergymen, dissenting ministers, and any person in holy orders not possessing an annual income of £100. Wigs quickly went out of fashion in the early 19th century, although the tax was not abolished until 1861. How long before a tax lien would be placed on the property? The delinquent tax payer would be taken before the judges of the court of the Exchequer to have the debt filed formally and the order for property to be seized. The property of peers was handled different from that of commoners, though it was still seized. Theoretically, if a man’s taxes were delinquent in a particular calendar year, he would not be formally labeled as delinquent until after April 6 of the next calendar year. Attempts would then be made to collect the back taxes before seizure of the property would be made. More than likely it would take two, perhaps three, years for the seizure to take place. Meanwhile more taxes would be accumulating while the courts acted. Again, however, it really depends on what taxes and to whom they were due and how they were paid. Needless to say if a duke owed taxes, he would be treated differently than a merchant. There were hundreds of taxes and so a variety of dates on which they would be due. Some taxes were pay as you go. For others, the tax man came along and counted your windows and looked at your footmen and counted the crested carriages and other armorial bearings and wheeled vehicles and made his demand. A person then had a stated amount of time to pay the tax. Some taxes were due on quarter days and some on cross quarter days. The quarter days were four dates in each year on which servants were hired, school terms started, and rents were due. They fell on four religious festivals, roughly three months apart. Leasehold payments and rents for land and premises in England are often still due on the old English quarter days. The quarter days ensured that debts and unresolved lawsuits were not allowed to linger on. Accounts had to be settled, a reckoning had to be made and publicly recorded on the quarter days. The taxes were due in quarterly installments until the late 1800’s, and tax day was changed to 6 April in 1800. In typical style, the Treasury ensured that there would be no loss of tax revenue and no concession to the populous by making the tax year 365 days. To complicate the matter, we have the New Style Calendar. The Calendar (New Style) Act 1750 was an Act of the Parliament of Great Britain. It reformed the calendar of England and British Dominions so that the new legal year began on 1 January rather than 25 March (Lady Day); and it adopted the Gregorian calendar, as already used in most of western Europe. Several theories have been proposed for the odd beginning of the British tax year on 6 April. One is that from 1753 until 1799, the tax year began on 5 April, which corresponded to 25 March Old Style. After the twelfth skipped Julian leap day in 1800, it was changed to 6 April, which still corresponded to 25 March Old Style. And so the 1800 tax year was moved from 25 March to 5 April. Having done it once, the Treasury then decreed in 1800 that there would be another lost day of revenue, given that the century end would have been a leap year under the Julian calendar whereas it was not under the new Gregorian calendar. Thus 1800 was a leap year for tax purposes, but not for the purpose of the calendar and so the tax year start was moved on again by a single day to 6 April. However Poole thought that quarter days, such as Lady Day on 25 March, marked the end of the quarters of the financial year.] Thus, although 25 March Old Style marked the beginning of the civil year, the next day, 26 March Old Style was until 1752 the beginning of the tax year. After removing eleven days in 1752, this corresponded to 6 April New Style, where it remains today. One has to be certain that the income tax was in force during the year in question and that it was a tax due on the 6th and not on some other day. This post originally appeared on Austen Authors on March 21, 2019. Enjoy! A few weeks ago, Alexa Adams, one of our Austen Authors, wrote an interesting blog on the Rice portrait, which is believed by some to be a painting of a youthful, vibrant Jane Austen. Alexa was following up on an article in the Guardian newspaper claiming that a letter from Jane’s great-niece finally proves the painting is of Jane. This post originally appeared on Austen Authors on January 25, 2019. Enjoy! How clearly I recall writing this blog post in March of 2011. I was six months pregnant with my daughter and spent the bulk of the morning at a lab getting my second glucose test for gestational diabetes. I whiled away the hungry hours devouring the new evidence that Jane Odiwe, author, artist, and friend, had brought to my attention concerning the authenticity of the Rice portrait. For decades, experts have debated whether the portrait is or is not of Jane Austen, the crux of the naysayers’ argument relying on both the date of the portrait and a lack of proof of provenance. Would Jane Austen have been young enough to be the sitter, and why, if it is Austen, is there no mention of the portrait by her descendants for almost 100 years after it was painted? Some of the biggest names in Austen scholarship stand on opposite sides of the fence on this issue, but I have always wanted so very much to believe it is a portrait of Jane. My complete bias now on the table, you can imagine my excitement (possibly aided by glucose overload – turns out I did have GD) that early spring morning in 2011, as I delightedly detailed the history of the controversy and presented the new evidence that the painter was Ozias Humphry and not Johan Zoffany, as previously believed. I was too busy with new parenthood to properly follow up a few years later when new, high image photographs revealed a date on the canvas of seventeen eighty something (Claudia Johnson had already said it was proof of authenticity in this article, so what more could I really add, anyway?). Happy to live in a world where I knew just what my favorite author looked like, I proceeded through the next several years content the matter was closed, even as the National Portrait Gallery continued to stubbornly refuse to authenticate the portrait. So it was with chagrin and abject disappointment that I read on another March morning in 2017 the Financial Times article that discredited the portrait. My emotions were something like Elizabeth Bennet’s in reaction to Mr. Darcy’s letter: at first I refused to believe it, but gradually the truth took hold. There was a stamp on the back of the Rice portrait that proved the canvass had to be made after 1800. I rushed over www.janeaustenriceportrait.com, where the Rice family keeps the world informed about their quest to authenticate the portrait, and saw their inability to reply to this blow with dismay. It was like a dear friend had died. Since that day, I have come to accept that I love the portrait regardless of the sitter’s identity. It can still represent my idealized image of who Austen was, even if it isn’t actually her. Then yesterday I read this headline from The Guardian: Jane Austen? Family says note establishes disputed portrait’s identity. By the time I reached the end of the article, hope had blossomed anew. Even without any relevance to the Rice portrait controversy, the discovery of a previously unknown note by Fanny Caroline Lefroy, Austen’s great-niece, would create buzz in the Janeite community, but the fact that this note explicitly establishes the provenance of the Rice Portrait makes it a bombshell. The handwriting matches Lefroy’s, of which there are many existent examples. It was somehow, seemingly miraculously, suddenly found in Austen’s writing desk. Now, some of this feels just a bit too convenient. However was the note overlooked for so long? I’d like to see testing done on the paper to establish its age. There is a lot of information missing, but nevertheless, the claim is absolutely tantalizing. It certainly calls into question the dating of the stamp. Another explanation will need to be provided for its existence, but if it can be rationally accounted for, pressure for the National Gallery to finally recognize the portrait (and hopefully acquire it, saving it from its current fate in a storage locker) will certainly increase. What that would do to the value of the beloved but inadequate portrait by Cassandra Austen, currently the only verified portrait of her face, is an interesting question, as well as how that consideration might influence the NPG’s position. Also worth noting is that the authentication of the Rice portrait may have implications for another, unverified portrait, the knowledge of which is confined to a photograph in a Christie’s catalog from an estate sale at Godmersham Park in 1983, its current whereabouts being unknown. You can read more about it in that original blog post from 2011, but the long and short of it is is that this could be a portrait of the Austen family. If so, Jane is the very young girl, positioned third from the left. Bears something of a resemblance to the girl in the Rice portrait, doesn’t she? You can see a much better image of the restored Rice portrait at the family’s website: http://www.janeaustenriceportrait.com/latest-news/4581084461. It’s gorgeous! One of the minor characters in my latest release, Lady Chandler’s Sister, was inspired by James Innes-Ker, 5th Duke of Roxburghe, whose tale I came across when doing research on a piece on primogeniture and inheritance laws. At the time, I thought the contest for the dukedom more than interesting, but had not thought to use the real life character in one of my stories. However, Roxburghe’s life and the location of his home, Floors Castle, fit perfectly for my story line, but I did not wish to name the actual person, for the Roxburghe line continues. Moreover, in the rewrites, I realized Roxburghe’s real-life tale, did not fit with my fictional one. Therefore, I kept the character, and, in the rewrites, left out Roxburghe’ history. Instead, I made the location less specific and made the character the godfather to the hero, but it was the Roxburghe legacy I had in mind while writing. Derived from the royal burgh of Roxburgh in the Scottish Borders, the title was originally created as Earl of Roxburghe in 1616. Before the title was elevated to that of “duke,” other subsidiary titles, all part of the peerage of Scotland, except one) were held, including Marquess of Bowmont and Cessford (created 1707), Earl of Kelso (created 1707), Earl Innes (1837 – the exception, for it was a title belonging to the peerage of the United Kingdom), Viscount Broxounth (1707), Lord Roxburghe (1600), and Lord Ker of Cessford and Cavertoun (1616). The Duke’s eldest son bears the courtesy title of Marquess of Bowmont and Cessford. The dukedom and its associated titles descend to heirs who shall inherit the earldom which in turn had a very specific line of descent. On the death of the 4th duke the titles became dormant as no one could prove their claim. In 1812 the House of Lords ruled in favor of Sir James Innes-Ker, 6th Baronet, of Innes, rejecting claims by the heir female of the second earl and heir male whatsoever of the first earl. The Duke of Roxburge is considered the Chief of Clan Innes, but cannot be so recognized as he retains the name Innes-Ker. The line of succession for the period in which I write had the eldest son of Sir Henry Innes, 5th Baronet, James Innes succeed to the baronetcy upon his father’s death. He was a descendant of Robert Ker, 1st Earl of Roxburghe, and in 1812 placed a claim to the vacant Scottish Duke of Roxburghe title. It took seven years of litigation for the dukedom to be secured by James Innes-Ker. As indicated above, the 3rd Duke never married. The title then devolved upon William Bellenden-Ker, who died within a year of assuming the title. He had no heirs. The succession was contested by Major-General Walter Ker and the Right Honorable William Drummond; and only at vast cost decided, on 11 May 1812, in favour of Sir James, as descended from Lady Innes, the third daughter of Hary, Lord Ker, son of the first Earl of Roxburghe. Encyclopedia Britannica gives us the following explanation: “John, 3rd duke of Roxburghe (1740-1804), the famous bibliophile. John was betrothed to Christiana, daughter of the duke of Mecklenburg-Strelitz; but when the princess’s sister Charlotte was affianced to George III., reasons of state led to the rupture of the engagement, and he died unmarried on the 19th of March 1804. The duke’s library, including a unique collection of books from Caxton’s press, and three rare volumes of broadside ballads, was sold in 1812, when the Roxburghe Club was’ founded to commemorate the sale of Valdarfer’s edition of Boccaccio. Roxburghe’s cousin William, 7th Lord Bellenden (c. 1728-1805), who succeeded to the Scottish titles and estates, died childless in October 1805, and for seven years the titles were dormant. Then in 1812 Sir James Innes, bart. (1736-182 3), a descendant of the 1st earl, established his claim to them, and taking the name of Innes-Ker, became 5th duke of Roxburghe. Among the unsuccessful claimants to the Roxburghe dukedom was John Bellenden Ker (c. 1765-1842), famous as a wit and botanist and the author of Archaeology of Popular Phrases and Nursery Rhymes (1837), whose son was the legal reformer, Charles Henry Bellenden Ker (c. 1785-1871). James Innes-Ker married twice. His first wife, Mary Wray, died in 1807, a mere ten years after they had married. The same year of Mary’s death, Innes-Ker married Harriet Charlewood. His son, James Henry Robert Innes-Ker, delivered by Harriet, succeeded to the Dukedom upon his death. NOTE!!! Black Opal Books has graciously lowered the price of the eBooks 1 and 2 of the trilogy to $2.99 each. Those are Angel Comes to the Devil’s Keep and The Earl Claims His Comfort. I have placed Lady Chandler’s Sister on sale for $1.99 until April 15. Grab your copies now! I understand the confusion and grief following the lost of a child for I lost two children before I had my son. It bothered me deeply not to have access to the ones I lost early on. I could not shake the idea that it would never have a name or a place in our family’s recorded history. However, many in the early 19th Century were developing what we now associate with the British public as a whole: the stiff upper lip. Grief was not shown in public. NOTE: BEGINNING MONDAY, MARCH 25, BLACK OPAL BOOKS PUT ANGEL COMES TO THE DEVIL’S KEEP AND THE EARL CLAIMS HIS COMFORT ON SALE ALSO. Now for the Giveaway!!! I have two eBook copies of Lady Chandler’s Sister available to those who comment below.